I put this stew into the crock pot this morning at 630 AM before I left for work. Little did I know that during the day while this lovely concoction was cooking, making my whole house smell fantastic, I would start to get a sore throat on my way to a cold. What better cure for a cold then a warm bowl of wonderful beef stew when you get home, I couldn’t have plan it any better. I never peel my carrots I just make sure they are cleaned really well. Cut the vegetables in large chunks and get ready to enjoy the aroma when you arrive home. Place all ingredients except the cilantro and cheese in the crock pot for six hours on low. If the broth is too thin crush some of the root veggies to help thicken the broth. 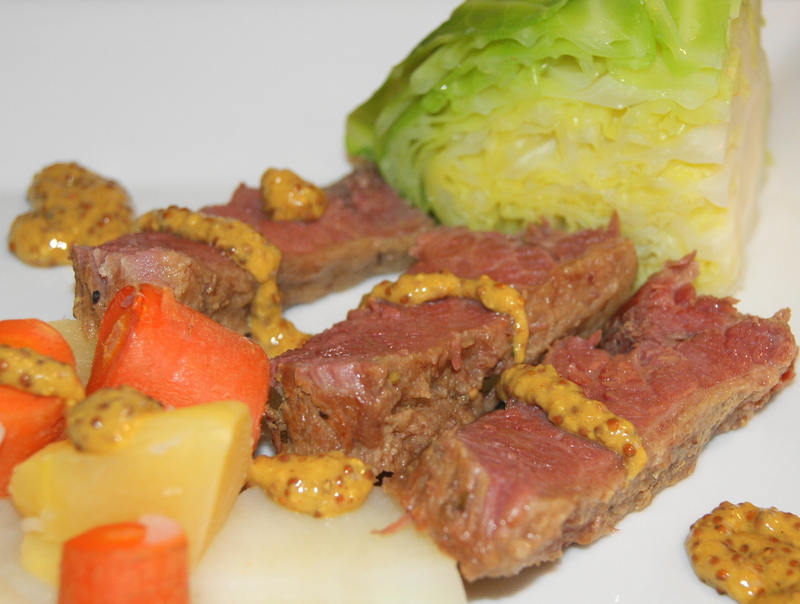 Serve with some crusty bread. There is nothing like a good pork burrito. Growing up I hated Mexican food, mainly due to the fact what was available in Boston in the 70’ and 80’s was not very good. Then 22 years ago I moved my family to Southern California and boy did my opinion of Mexican food changed. Not only did I love it but I learned to cook it and I am so happy I did. This is my version of the ingredients for a pork burrito. Put the pork into a crock pot and season with the all-purpose spice rub. Pour the tomatoes over the pork and cook on low for around 6 hours. 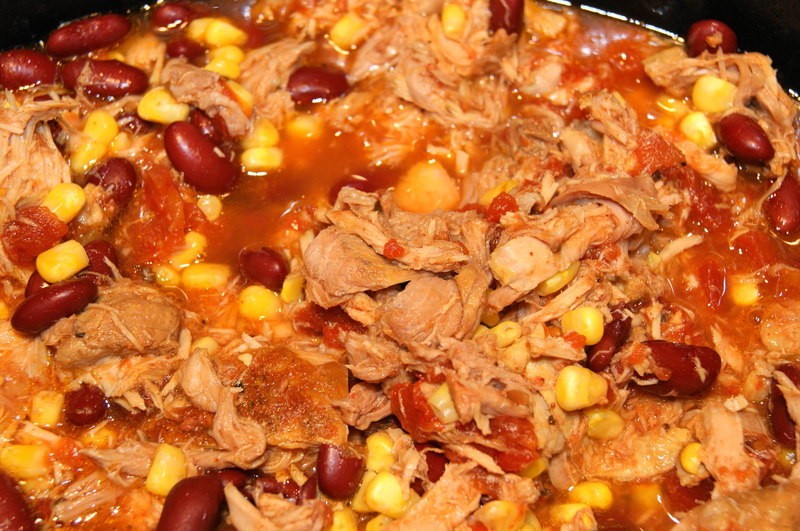 Pull the pork apart and add the beans and corn leaving the crock pot on warm. Top with the onions before serving. Makes about 8- 10 burritos. Well today my wonderful creation was a bust. 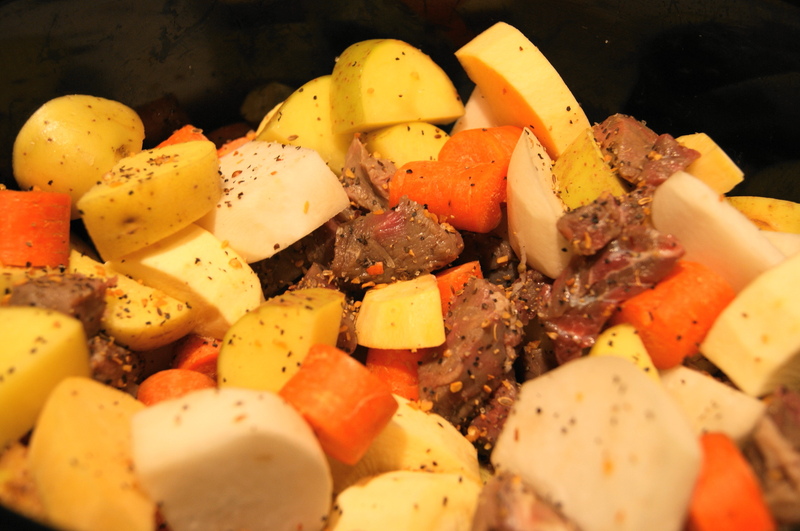 I made beef stew in the crock pot with tons of root vegetables, the left over tri tip meat and beef broth. I put it on low for 6 hours and waited for the house to start smelling like a wonderful stew. I did get the wonderful aroma but the broth kept getting thinner and thinner. In the end I had a wonderful plate of vegetables and meat and the broth was yuk. Any suggestions on how to get a thicker broth using the crock pot? 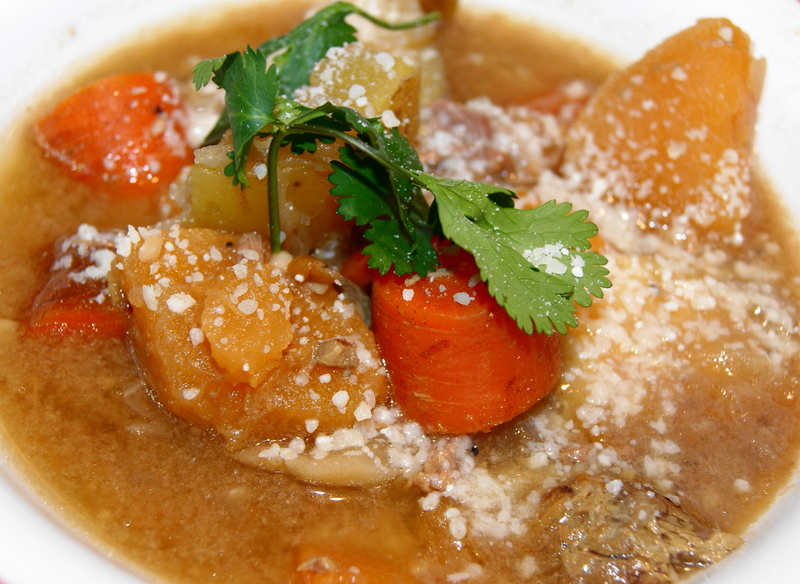 Simple to prepare and mostly cooks by itself in the crock pot. If you can get chicken thighs that are skinless and boneless do so. This makes it even easier to prepare. I would rinse and dry the chicken before cooking. As for the sauce, I prefer a red chili sauce, but use your favorite red or green sauce to cook the chicken. I use the Greek yogurt to tone down the spice and it does a great job and gives the dish a smooth texture. Add chicken, spice rub, and chili sauce to the crock pot and cook on low for 4-5 hours. Remove the chicken and pull apart. Take about 2 cups of the chili sauce and place it in a large skillet. Use more if you would like more sauce. Bring to a boil then to a simmer. Add the yogurt, stir to mix. Add the chicken, stir and keep on simmer for about 5 minutes. Serve with Turmeric Rice and Peas. Finish the dish by topping all with chopped green onion.